One of the greatest decisions that I have ever made in my life has been to receive an education through the process of homeschooling. I’ve been using Seton Home Study School as my primary source of education since 1st Grade until now as I graduate. The reason for this is because I have a medical problem that makes me contract illnesses much easier and much worse than normal people. And since school grounds aren’t exactly the ideal place for someone like that, homeschooling seemed like a much better option. However; over the years I’ve watched it do so much more than keep a sick kid healthy, which are experiences that I value more than anything a public school could ever offer. Thanks to Seton Home Study School, I’ve strengthened my religious beliefs, found an express interest in writing, and been able to do things being in public school would never let me. The first and foremost gift homeschooling has given me is the chance to become a stronger Catholic. This is largely due to having the ability to observe and practice my religious beliefs, which public schools have so heavily prohibited. I can say prayers before starting classes and feel free to mention God and any other Catholic-related matters in my work if I want to because of this. I have also benefitted largely from having an actual religion course over the years. It has taught me more about the Faith than I would ever have learned by just going to Sunday school, while at the same time made it far more intimate and an interesting of a subject to study. In fact, during a retreat for my Confirmation I was complimented about how much I knew while playing a trivia game. And finally, being homeschooled means that being a Catholic won’t get me into trouble like it has for so many other public school students who have been subjected to cruel bullying and even thrown out of school because their beliefs are found “offensive”. Seton has been a bolster to my faith and helped it to grow in ways I could never have done without it. Being homeschooled has also been instrumental in the development of my love of writing. I mainly owe this to the fact that all the difficult essays I’ve had to write over the years for various subjects were made easier thanks to freedom homeschooling provides. The schedule flexibility and lack of strict deadlines allowed me to not be as rushed or pressured while working on them, which consequently let me to take extra time to fine tune them and discover how efficient of a tool they were to express my thoughts and ideas. This later led me to write numerous books, essays, and even some screenplays for fan-made movies over the years about whatever I was currently into. It’s also one of the drives I’m using to write a novel I want to try and get published. Thanks to homeschooling, I’ve discovered an awesome hidden talent that could possibly take me places I could never imagine. 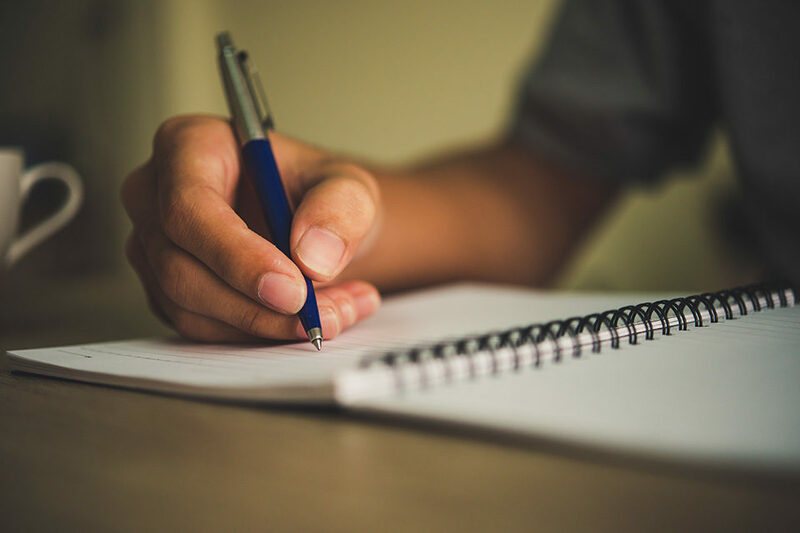 Besides finding religious strength and a love of writing, being a homeschool student has given me a plethora of various other things being in public school could not. One of them is the guarantee of a good school environment. And though it’s because all of my fellow students and faculty members are family, it’s eliminated problems like peer pressure and drugs that so plague public schools around the world while at the same time let me stay close with them, especially my brothers. Being a homeschool student specifically through Seton has also allowed me to become part of the Catholic Harbor message board community, where I’ve enjoyed talking with other students about various topics and even done some friendly debating. I’ve also been able to do more fun activities with my family, take more field trips and travel to places we have never seen before. And somedays we’d just take off and go do something fun thanks to what’s known amongst homeschoolers as a B.W.C.D. (Because We Can Day). What Seton has done for and allowed me to do are treasured experiences that I wouldn’t trade for anything. 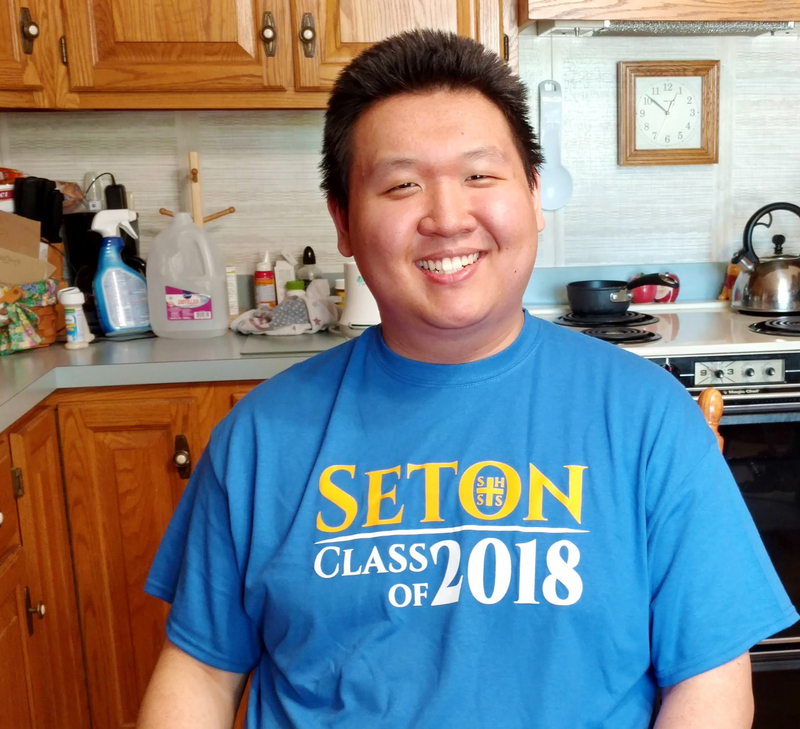 Throughout the twelve years I’ve been homeschooled through Seton, it’s given me invaluable opportunities to grow in my Faith, discover and nurture an unknown ability, and many other things I would never have expected it to. By allowing and encouraging me to include God during my days, Seton has given me the pieces to build countless bridges which have helped me learn and embrace more about Him and His Faith. It also gave me the tools to translate the many ideas within my head and fostered the possibilities for a potential future around them. Finally, homeschooling let me go through my school years safely and kept me close to those most important. Although the public often speaks negatively and looks down upon homeschooling over the years, I will proclaim loud and proud the opposite opinion for all to hear. Cole Pitchford - Throughout the twelve years Cole has been homeschooled through Seton, he has enjoyed invaluable opportunities to grow in his Faith, nurture his love and talent for writing, and discover many other things that have surprised him. Some days he has been known to take a day off and go do something fun thanks to what’s known among homeschoolers as a B.W.C.D. (Because We Can Day). And at every opportunity, Cole proclaims loud and proud the many benefits of homeschooling .